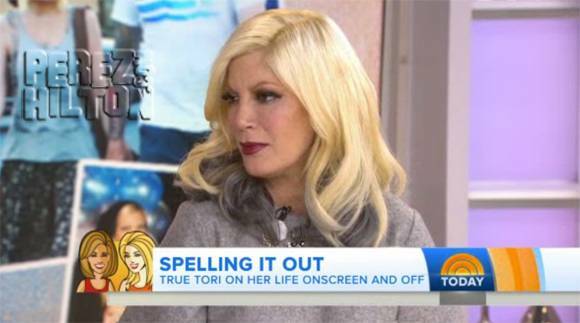 Tori Spelling Opens Up About The True Tori Episode With Dean McDermott's Ex Mary Jo Eustace! You wanted the truth, and now you're getting it! We've been following the drama that happened following Dean McDermott‘s affair, and this is just a huge piece to the puzzle! In a recent episode of True Tori, Tori Spelling sat down with her hubby's ex Mary Jo Eustace. You know, the lady he cheated on with Tori. Well, at least she knows, right? As for letting her relationship dissolve in front of thousands of viewers, Tori said it's “cathartic” and a form of “therapy” because in her family, they didn't talk about emotions. Hopefully they can figure things out, but Tori meeting with Mary Jo has only seemed to complicate things more.